Shorter operating hours along selected stretches of the East West Line (EWL), North South Line (NSL), Sengkang LRT (SKLRT), Punggol LRT (PGLRT) and Bukit Panjang LRT (BPLRT) take effect on selected weekends to facilitate additional engineering hours for re-signalling and maintenance work. This will involve early closures, late openings, and full-day closures. These closures allow more time for rail maintenance and renewal works to be carried out. These shorter operating hours became prevalent in the wake of the Joo Koon train collision incident in November 2017, to speed up re-signalling works as well as for other purposes. Early Closures started in 2014 to facilitate SMRT’s rail renewal works, including the replacement of timber sleepers with concrete sleepers, third rail replacement and resignalling. The shortened operating hours facilitate additional engineering hours for re-signalling and maintenance work. Beyond April 2018, these additional engineering hours will be used to facilitate replacement of power supply and track circuits. The shortened operating hours facilitate additional engineering hours for intensive railway maintenance and improvement works. These works include replacement of power supply and track circuits in the later half of 2018. The shortened operating hours facilitate additional engineering hours to accelerate maintenance works, such as the replacement of rail crossing and track, and renewing parts of the power and signalling systems. The shortened operating hours facilitate replacement works conducted on the finger joints of concrete plinths, enhanced preventive maintenance on the signalling cables, as well as the asset renewal works which include replacement of the power rail and power rail assemblies. The full day closures allow more time for maintenance works, such as the replacement of sections of the power rails, track switch components as well as the parts of the doors and propulsion systems of LRT trains as part of the Bukit Panjang LRT Overhaul programme. Late Openings on Sundays in 2017 facilitated more time for testing of the entire Downtown Line as an integrated line in preparation for the opening of Downtown Line Stage 3 from Fort Canning to Expo on 21 October 2017. During each episode of shortened operating hours, shuttle buses will be deployed, except for Sengkang & Punggol LRT. 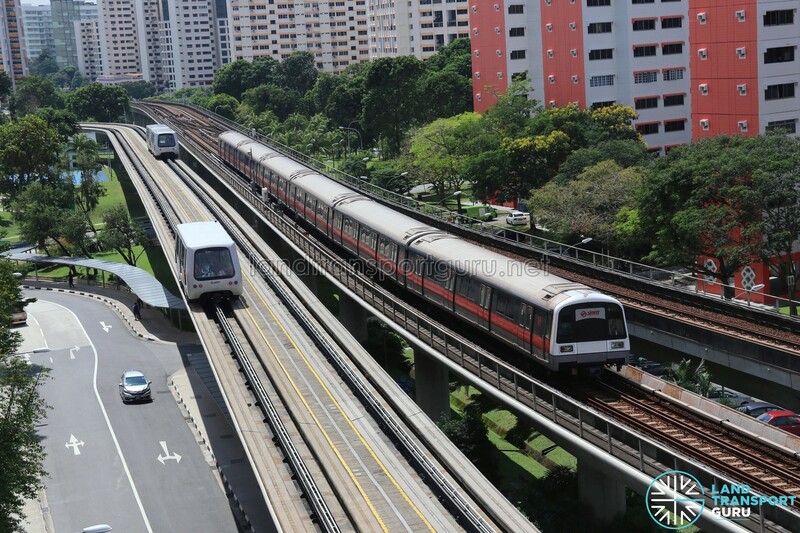 Shortened operating hours on a daily basis for the Bukit Panjang LRT Line take effect from 13 January 2019 to facilitate the Bukit Panjang LRT Overhaul. For more information, click on the individual links to access the dedicated disruption articles for each month.